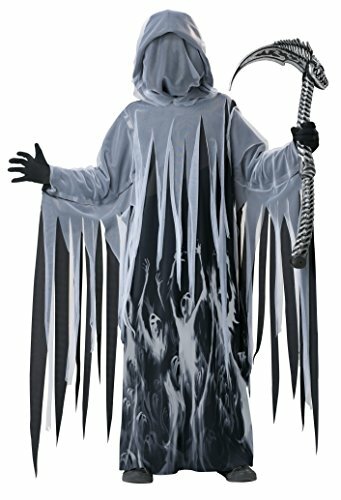 Robe, Character Mask, Hood with Drape, Printed Cuffs, Wrist Chain, Cuff Chains. 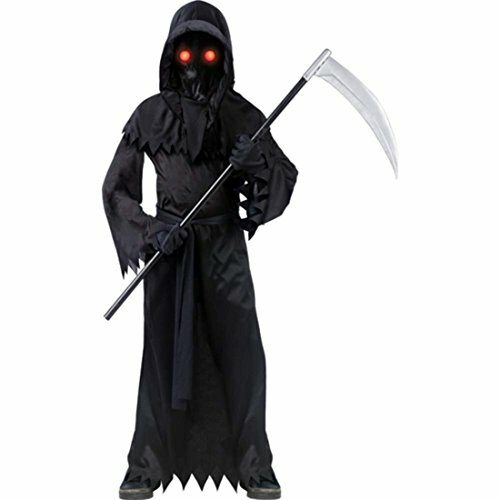 Sometimes what you can't see is what's really scary, and that's definitely true of the Unknown Phantom Boys Costume. 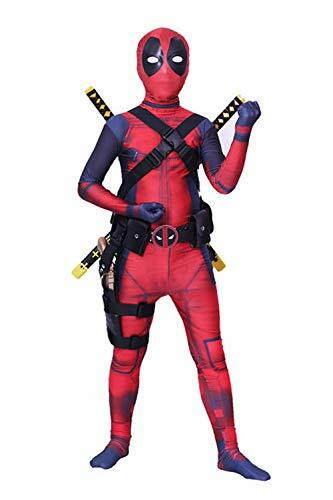 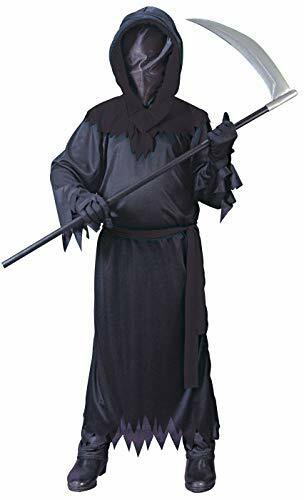 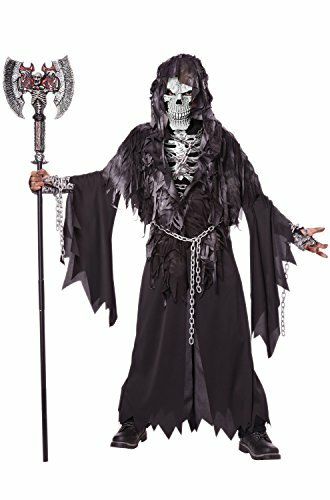 This costume includes a long black robe with jagged hem and sleeves, a black tie belt, and a hooded mask with a face cover that will let your boy see out but won't let anyone else see in. 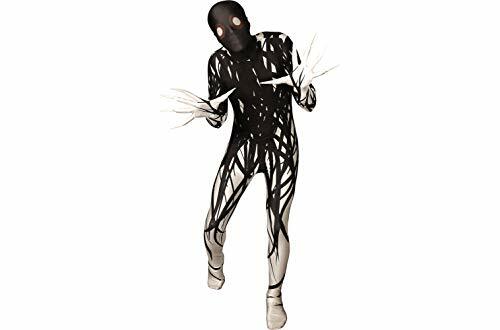 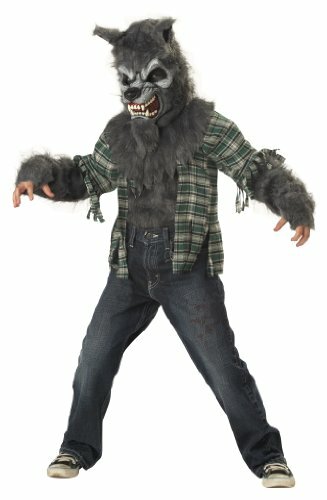 Your boy will love anonymously scaring his friends in this uniquely creepy costume.